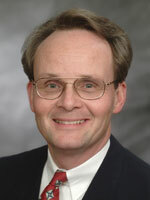 Lawrence W. (Larry) Reed has been President of the Mackinac Center for Public Policy since it was founded in 1987. Based in Midland, Michigan, it is the largest and one of the most influential state-based think tanks in the U.S.
What does the Mackinac Center for Public Policy do? Through its many events for a wide variety of audiences and a huge volume of research and publications, the Mackinac Center provides a free market perspective on public policy issues at the state level. Though our focus is on our state of Michigan, we have been very influential across the country and even abroad. Many of our publications and projects have been replicated in other places, and free market advocates from all over the world have sought us out for advice and for permission to put our work to use in their locales. Our budget this year is $3 million, all of which comes from private, voluntary contributions from foundations, individuals and businesses; and because of our leadership role in “the movement” and our innovation and effectiveness, about a third of our annual support actually comes from outside of Michigan. In an average year, we publish as many as six or eight major studies; dozens of commentaries, op-eds and articles; three quarterlies that reach as many as 135,000 and focus on education reform, privatization and our impact around the state. We maintain two websites with a wealth of information—our main site at www.mackinac.org, and a pioneering free service that monitors every action of our legislature and was designed and implemented entirely by our staff, atwww.michiganvotes.org. We sponsor workshops for high school debate students where we give them the arguments they need to win debates from a free enterprise perspective, as well as many other events for many audiences all over Michigan. We generate 1,500 or more citations in the print media every year, and our 30-member staff is always providing commentary for the broadcast media as well. Many members of our staff have national reputations for their expertise, such as our senior vice president Joe Overton in education reform and institute management issues; Bob Hunter, our director of labor policy and our expert on what is needed to free up labor markets; Diane Katz, who is bringing economics and sound science to the forefront as our director of science, environment and technology policy; and Mike LaFaive, our expert on economic development and privatization matters. We have open staff positions right now that we’d love to fill with high quality people so if any of your readers are interested, they can view the job descriptions on our website. We do all this, I’m proud to say, from a beautiful 23,000 square foot building we built and fully funded in 1997, thanks to some major foundation support and additional help from our many friends. In short, we are the place to go in Michigan if you want to know how free markets and free people can solve problems, and a growing number of people outside our state are using our work for the same purpose in their locales. One of the things that the Mackinac Center is known for is its semiannual Leadership Conference. What’s that all about? In the mid-‘90s, we began getting calls from our sister free market organizations around the country asking if one or more members of their staffs, usually their CEOs, could come to our shop for a couple days to learn how and why we’ve been so effective. We’ve always regarded ourselves as “movement-builders” so we eagerly responded with all the assistance we could provide. In short order, this “mentoring” effort became rather time-consuming, but it’s extremely important because all groups like ours can benefit from being better-organized, strategic, long-term planners. In that ad hoc mentoring effort, we were spending a lot of time with one or two people at a time, half a dozen times a year. That’s when we thought of formalizing it into an intensive “leadership conference” and inviting all the groups to send representatives. We keep the total attendance relatively small to preserve an intimate atmosphere in which everyone can get their questions answered and concerns addressed. Since we started doing this in 1998, we’ve had ten conferences—nine at our headquarters and one in Costa Rica that focused on assisting think tanks primarily in Latin America. In toto, we’ve hosted nearly 300 people from almost every state and almost 30 countries at these conferences. With very little advertising, we pack the house at every conference and generate a waiting list for the next one. The reviews we’ve earned have been just off the charts. At these conferences, we provide tips and advice across a broad front of think tank management issues: strategic planning, fundraising, marketing and communications; working effectively with boards of directors, etc. I’m very proud of the fact that we have brought so many good groups together, helped them immensely with first-rate advice, and thereby strengthened the freedom movement as a whole. What did you do before you became President of the Mackinac Center? After earning my undergraduate degrees, I immediately began teaching economics, economic history, and business-related subjects at the college level at Northwood University, a private college here in Midland, Michigan. That was in 1977. I headed west in 1984 to lead a small free market think tank in Idaho until I was asked to return to Michigan in late 1987 to become the first president of the Mackinac Center. When were you born, and where did you grow up? I was born outside a little Western Pennsylvania town called Beaver Falls in 1953. That’s where I grew up and lived for the first 24 years of my life, until I moved to Michigan to start teaching in 1977. I went to two Pennsylvania colleges for my B.A. and M.A. degrees: Grove City College and Slippery Rock State University. Western Pennsylvania was home to the Whiskey Rebellion, and I think my English and Scotch-Irish ancestors who were a part of that must have passed on some authority-questioning genes to me. Which people influenced you the most? Since at least 1900 as far as I can tell, no one on either my father’s side or my mother’s side of the family ever had much interest and even less involvement in political, economic, or current affairs. But my father imparted some basic, no-nonsense, anti-authoritarian and pro-freedom instincts that I nurtured in the late 1960’s and which really blossomed in 1968. Though I was experiencing the inner rumblings of a freedom philosophy before then, it all came together for me in that tumultuous year. I date my start in this whole movement from that year, so I guess that means I’ve been at it for almost 35 years, since high school. The 1968 Soviet invasion of Czechoslovakia made me an anti-communist activist, which led me fairly quickly into free market economics. Dr. Hans Sennholz, one of four scholars to earn a Ph.D. under Ludwig von Mises, was my teacher at Grove City College. His eloquence was a huge inspiration. Leonard Read, who founded the Foundation for Economic Education, was a big influence on me both as an author and a friend. I wrote my first of more than a hundred articles for FEE’s journal, The Freeman (now Ideas on Liberty) in 1977 and I regard it as a singular honor to have served from 1994-2002 as a member of FEE’s board and as its chair for three of those years. Leonard’s persona—his optimism and his gentle persuasiveness in particular—left a very large and permanent imprint on me. When it comes to the authors who I never met but who have nonetheless greatly influenced me, I would have to put these names at the top of the list: Mises, Hayek, Rand, Rothbard, and believe it or not, Dale Carnegie (whose classic How to Win Friends and Influence People remains one of the best self-improvement books ever written). First and foremost, I am passionate about liberty. Since 1968, it has been the single most powerful focus of my life and, I suspect, that’s the way it will always be. There is no earthly cause more noble. In my belief, more of the good things about life depend on it than on any other single thing. Without it, life has little meaning. On a less lofty note, I am passionate about animals of almost all kinds—dogs in particular. I’m passionate about history—in fact, virtually all my pleasure reading is in British, American, ancient Roman, military or Christian history. I devour biographies of great men and women who have appreciated and advanced liberty, or who persevered in the face of great odds—like Gladstone, Wilberforce and Livingstone in Britain, for example. I’m passionate about foreign travel, seeing the world, and getting to know foreign peoples and cultures. How would you describe your political philosophy? Did it evolve over time? I cringe at labels because too often they conjure up misimpressions, stereotypes, and simplistic conclusions. I’d rather talk about ideas. But if you have to attach a label to my political philosophy, I suppose “classical liberal” would do just fine. I believe in limited, minimal government, though I don’t pick fights with my anarcho-capitalist friends. More power to ‘em. I have enough faith in freedom that I respect those who argue that given certain conditions and an enlightened climate of opinion, there’s not an aspect of life that civil society can’t handle better than politics and politicians. Many people who believe in liberty didn’t start out that way, and may even have been socialists at one time. In fact, one of the signs of maturation, of shedding infantile and anti-social behavior and becoming a thinking, civilized adult is learning the superiority of voluntarism and the free and civil society over political coercion and redistribution. Well, I was never a statist of any kind. From my earliest awareness of political philosophies, I understood that the only thing socialism has ever really done for poor people is give them lots of company. One of my first encounters with government was when I was in the third grade and my father wanted to take me to Florida for a week in January to visit relatives. The public school officials protested. They called my dad and said he couldn’t take me out of school just for a vacation. He told them in no uncertain terms that I was his kid, not theirs, and while he was taking me to a warm place, they could pack their bags and go someplace a lot hotter. When and how did you become interested in liberty? My father’s instincts planted the seeds, but my mother took my sister and I to see “The Sound of Music” in 1965, and that proved to be a powerful catalyst. I was only 12 and I didn’t want to go, but the movie really had an effect on me. State oppression vs. people who just wanted to be left alone—that’s the way I saw it. It prompted me to do a lot of reading on pre-World War II history, especially the Nazi takeovers of Austria and Czechoslovakia. When the “Prague Spring” blossomed in early 1968, I was glued to the TV set and the newspapers. When Warsaw Pact troops crossed the border in August, I was angry and wanted to do something. Within days, I saw a newspaper story about a group called Young Americans for Freedom (YAF) who were organizing an anti-Soviet demonstration in downtown Pittsburgh. I went to it, helped burn a Soviet flag in Mellon Square, and joined YAF. In those days, YAF sent all new members copies of books like Hayek’s The Road to Serfdom, Hazlitt’s Economics in One Lesson, Bastiat’s The Law, and Weaver’s The Mainspring of Human Progress. I devoured them, gained an appreciation for economics, and liberty has been my primary passion ever since. I don’t know how many people in our movement can trace their intellectual beginnings to a movie, and maybe it sounds corny to some, but that’s what happened with me. Who are your heroes, and why? Grover Cleveland is my personal favorites among U.S. presidents, and a hero to me. He vetoed more bills than all the previous 21 presidents combined, and was a rock of honesty and integrity. He was staunchly for free trade, sound money, limited government, balanced budgets, and free enterprise. William Ewert Gladstone, four times British Prime Minister, is a hero to me because unlike most politicians, he only got better with age and tenure in office. He started out a statist and protectionist, came to appreciate liberty, and did more to liberate the spirit of enterprise in Britain than any other PM in the country’s history. But while I have my favorite politicians, they are still eclipsed in my mind by the nonpolitical people who invent, create, and build—and who improve the lot of us all in the process. Risk-taking entrepreneurs who do it all in the marketplace without resort to favors from government are all heroes to me, and America has produced them by the boatloads. I deal with heroes every day of the week as a part of my job. They include my hard-working staff. I could name them all but I’ll cite just one here for reasons of space—my senior vice president Joe Overton. There’s no more talented or dedicated genius in our movement than Joe, and probably not a single organization of our kind that wouldn’t love to hire him away. He’s not an attention-seeker, but people who know him understand that we all owe him a great debt for his leadership and innovative ideas for advancing liberty. He’s been my right-hand man and best friend for almost 15 years and I cannot imagine our success at the Mackinac Center without him. I’ve been ably assisted by many other incredible members of our team, such as my indispensable assistant Kendra Shrode and our indomitable executive vice president, Joe Lehman. Who are some of the most interesting or famous people you’ve met? It’s largely because of people like Zbigniew and Sophia that millions once behind the Iron Curtain are free today. I’ve met Margaret Thatcher and had breakfast with President Reagan in the White House. I admire them both very much. I once interviewed the Finance Minister of Haiti in the year after Duvalier was ousted. His name was Leslie Delatour and he was accomplishing amazing things—privatizing and freeing up the economy. Too bad he was gone in a year, replaced by another batch of statist demagogues. I was a good friend of Dr. Haing Ngor, Academy Award-winning actor from “The Killing Fields.” In 1989, I accompanied him on his first trip back to his native Cambodia since his escape from the Khmer Rouge a decade before. Now there’s a guy who knew what freedom was and how costly it is to lose it. The supreme tragedy of his life was that after going through an unbelievable Hell under a communist dictatorship, he was later killed by common street thugs in downtown Los Angeles. I guess I could go on forever about so many incredible people I’ve met, but I’ll leave it at that for now. I’ve been to 57 of them on six continents since 1985, many of them several times. When I was doing anti-communist work in the 1980s and early ‘90s, I went to the Soviet Union five times, China three times, Nicaragua five times, Poland twice, and even Cambodia. I was arrested only twice—in Poland and in Nicaragua and only thrown out once. That was in Poland in 1986, after spending two weeks living with the anti-communist underground. After I befriended the leader of the rebel opposition in Marxist Mozambique in 1991, Joe Overton and I made an incredible, surreptitious trip to that country and lived with the rebels at their bush headquarters in the midst of a devastating civil war. That was unlike just about any other trip I’ve ever made anywhere. I’ve studied hyperinflation in Bolivia (1985), voodoo in Haiti (1987), and underground movements in the old East bloc. There are few places in the world that I don’t want to go to some day. Foreign travel is an enriching experience but after awhile, it’s a killer trying to keep up correspondence with friends you’ve made all over the place. What was it like in some of the more oppressive countries you visited? Everybody has read many accounts of oppression from around the world, so let me answer that question by telling you what I learned from such visits. I’ve learned that the planned economy—socialism in all its preposterous and destructive manifestations—is a cruel joke that never works. Socialists have said that you have to break a few eggs to make an omelet, but as I’ve written in a number of places, socialists never make omelets. They only break eggs. I’ve learned that the prism of individualism is the only way to see the world. Stereotyping a people or a nation is always a false, ignorant, and dangerous way to view them. I’ve learned that individuals are often phenomenally enterprising in the face of enormous, artificial roadblocks. I saw so much in the way of black markets and private enterprise in places where such things were repressed that I’ve come to regard much of what government does in the way of pushing people around to be utterly futile. If it’s a peaceful activity with no real victims, leave it alone. And I’ve learned that the two main obstacles that pull people apart and provoke hatred and conflict are: (1) stupid, brainless, know-it-all ideologies of power and control, and (2) the incompetent, venal governments that make those ideologies into policy. You talk a lot about “winning.” What do you mean by that? I’m referring to the battle of ideas, the struggle for the minds and hearts of our fellow citizens. This is critical to the survival of civilization, the paramount issue of our day. Will people fall prey to the false God of the State and its endless string of broken promises and ruined lives, or will they embrace the uplifting inspiration of liberty? Aside from spiritual matters that all of us as individuals must come to grips with on our own, there is no more important issue. The case for liberty is intellectually airtight. What we’re really battling to overcome is ignorance and corruption. We’re winning the battle, slowly but surely. Think about the people who have undergone philosophical transitions in recent years. I know of lots of former statists, interventionists, coercion-worshippers—whatever you want to call them—who used to put all their faith in the state but have wised up. I know of almost no former free market advocates who have come to the view that central planning is the way to go. The drift is almost entirely in our direction. Pessimism, moreover, is a self-fulfilling prophecy. You don’t work as hard for anything if you don’t think it will prevail, which only assures its defeat. I never feel as though I have to win over every hard-core statist. If they are incorrigible, I just smile and tell them that they’re on the losing side and it’s only a matter of time before they jump ship. What do you think are the most effective things an individual can do if he wants to be free? What a person can do in this regard comes under two headings: one is Introspection and Improvement; the other is Outreach. Each person needs to start by honestly assessing his own personal set of skills, talents, resources and knowledge base. Get your own life in order, be a burden to no one, seek nothing from others through the political process except that they leave you alone, be a model in everything you do that will lead and inspire others by example. Take charge of your life, accept all your responsibilities at home and elsewhere without hesitation. And get your mental attitude in shape—by which I mean things like have a healthy sense of humor, a good feel for both your strengths and weaknesses, a bubbly optimism. Be a good citizen who respects the lives and property of others. You can’t expect to be free if you support making others less free. Make your life a nonstop learning journey—read and become as informed about freedom in all its aspects as you can possibly be. Take care of that and then you’re in good shape to engage in Outreach. It starts by recognizing that liberty depends on its believers becoming teachers of liberty. Once you’ve assessed what you do best—whether it be writing, speaking, encouraging others in one-on-one, intimate settings, or just writing checks and providing advice to others who do these things on behalf of liberty, then get off your duff and do it. What do you think are the greatest current threats to liberty, and what do you think we should do about them? The single greatest threat is ignorance. Most people who don’t support liberty have not come to that view because they’ve read the literature extensively and decided against it. They’ve just never been exposed to a coherent, persuasive case for it. They’re certainly not getting it from the government schools or the establishment media. Education is still the number one challenge we liberty advocates face. We simply must reach more people, and develop more clever and attractive appeals. In a policy sense, the greatest threats to liberty are these: the government school monopoly, blind support of the state in every “emergency” (in the wake of 9/11, we’re seeing growing encroachments on liberty with little to show for it), and a large segment of the population that would rather vote for a living than work for one, and that includes lots of corporations as well as university professors and ordinary welfare recipients. There’s only one thing to do about it: educate, educate, educate. And don’t take no for an answer. William Wilberforce worked for 46 years to get Britain to abolish slavery and lost dozens of votes along the way. It never deterred him. He just learned to get better and better at making its case. How we make that case is almost as important as the case itself. Rarely is it appropriate to come across in a hostile, confrontational, or condescending manner. It’s never fitting to be arrogant, shrill or self-righteous. We should convey these ideas in the most judicious, inviting, helpful, and persuasive fashion possible. We should be magnets for every open-minded person willing to learn. We can have all the facts and passion in the world but if we lack people skills, we’ll just be talking to ourselves. “Government is not reason. It is not eloquence. It is force. Like fire, it can be either a dangerous servant or a fearful master.” ~ George Washington. I like that one because it makes it plain that even the smallest and best of governments that are genuine servants of the people are still dangerous. “He’s honest, but you’ve got to watch him.” ~ Groucho Marx referring to his brother Harpo. I like this one because it’s got part of the same message as the Washington quote above, except it’s more succinct. Again, even the most honest of governments you’ve got to keep your eye on every waking moment. I’m a long-time Groucho Marxist. “Ideas are more powerful than all the armies of the world. Nothing is as powerful as an idea whose time has come.” ~ Victor Hugo, paraphrased. This is another reason why I’m an optimist. We are creatures of free will and we can learn from our mistakes. We can change the course of history by changing the ideas that drive it. “All that is necessary for evil to triumph is for good men to do nothing.” ~ Edmund Burke. I don’t think I need to say anything more about that one. What do you like to do when you’re not working for liberty? Fishing, and fly fishing in particular. But even then, I’m working for liberty. I figure when I hook ‘em, I’m giving the fish a taste of what socialism is all about. Then when I throw ‘em back, hopefully they’ve learned something about steering clear of that seductive free lunch. Aside from fishing, I like movies, travel, reading, entertaining, walking my dogs, woodworking, racquetball, skydiving, hiking, and lots of other things that allow me to catch my breath and gird for the next foray in the battle of ideas. Are you optimistic about the future? If so, why? Yes, because liberty will prevail and there’s no point in believing otherwise. You can read more about Larry’s background here.